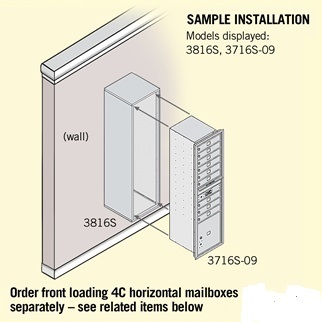 Surface Mount Enclosure is a sturdy option to install a single-column 4C Horizontal Mailbox. Made with durable aluminum construction, this recessed mounted horizontal mailbox is warranted for indoor or outdoor use. 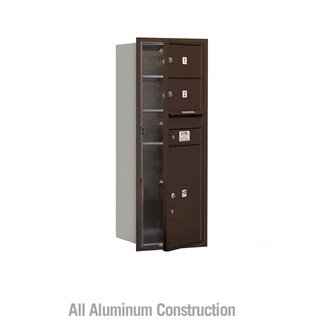 Mailboxes are sold separately so you can order any configuration. This flexibility meets the needs of virtually any work environment. 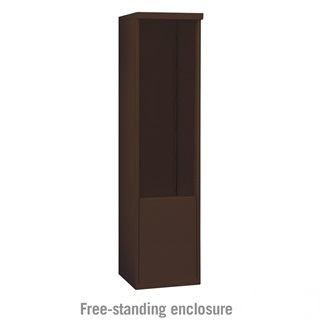 Surface Mount Enclosures are ideal commercial letterboxes adding a professional appearance with maximum safety features. Four excellent finishes are available: aluminum, bronze, gold and sandstone. Collar weight - 45 lbs. 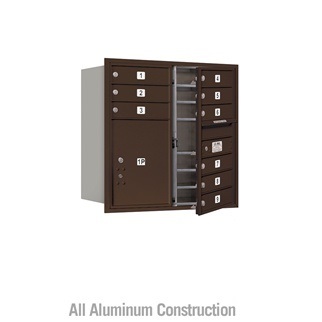 Shop all 4C horizontal mailboxes, cell phone lockers or letter drop boxes online now for high-quality, mailing solutions.